What a very tense final day at The Farmers Insurance Open – Scott Stallings stole a march on the field to pick up victory, pretty much from nowhere. It was gutting for us with Jason Day and Marc Leishman missing out, but what a weekend of drama that was! What is exciting though; this drama doesn’t end there because this week the PGA Tour moves to Phoenix for the Waste Management Phoenix Open. BUT awaiting the entire field on the 16th tee is one of the greatest holes in world golf. An amphitheatre of 20,000 fans surround the green on a par 3 where only the toughest of soles get through the other end in one piece – a sort of football meets WWE, meets Olympic Games. Superb. We have seen some incredible scenes there before, a hole-in-one from the none other than Tiger Woods in 1997 and last year we saw respectable caddies lose their heads and take part in the now infamous ‘caddie races’ – as soon as their golfers hit their tee shots they ran to the green and the first there was the winner and received well, nothing! If one didn’t take part though, the boos of the crowd must have been unbearable. As for the rest of the course, the aptly named Stadium Course at TPC Scottsdale is a 7,216-yard par 71, which does offer birdies, but you still have to be on top of your game to find them. In recent history the bigger hitters tend to prosper, mainly because of the reachable par 5s, driveable par 4 17th and the ability to attack pins further down the fairway. However, GIR will be vital, whilst scrambling and success out of the bunkers – which will be inevitable to every player, will ultimately separate the winner from the rest of the field. In all honesty this is one of our favourite tournaments and we simply cannot wait to sit down for what will be a tense week of golf. We are sure you’ll enjoy it as much as us, let’s just hope we get a bit of money in return! How could we not? At 30s we thought Bubba represented good value and is the sort of golfer who thrives off the big crowds that will flock through the gates. It would be too gutting to see one of our favourites up there not having backed him in the market. By his own admission, the 2013 season was not a good year for the Floridian with only 2 top 10s in official strokeplay events to his name. At times his swing just didn’t look to be in any rhythm and we all know what happens when that swing doesn’t work. He needs flow and consistency and we must say it has started to look like something is clicking again. At the end of the day it’s only a matter of time for someone with his outstanding natural ability. He started off with a T31 at the CIMB Classic, T8 at the final WGC event, T3 at the unofficial Northwestern Mutual World Challenge and then last week he finished T23. BUT what was impressive was how he was hitting his irons – something that will be so imperative this week. He finished joint 1st for GIR (alongside another one of our picks, who you will hear from later) and 1st in driving distance. 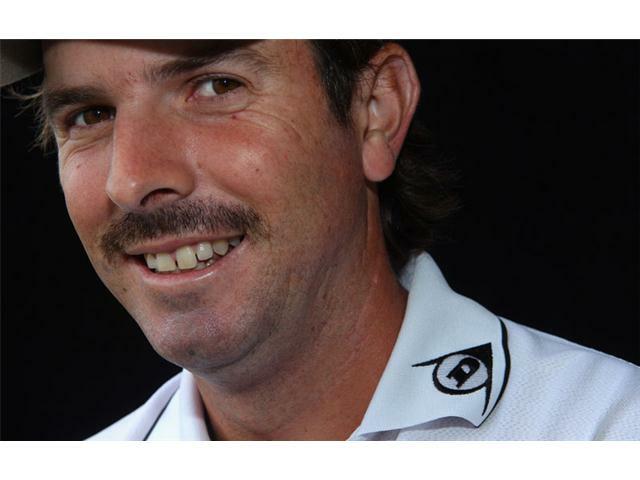 That sort of combination could be crucial, especially when you think that he is one of the worlds finest and most imaginative scramblers in modern golf – currently 39th in scrambling and in and around the greens he has a knack of getting close – 1st for both GIR inside 75 yards and between 100-125 yards. At the end of the day if there is anyone you would want pumping himself up before the crowds, then Bubba Watson would be your first choice. He is the epitome of the word showman, so you can expect great things this week. He really needs to properly kick start his form ahead of the big tournaments coming up. The jokes are endless. We need say nothing. One of the finest young talents in the game, yes Hideki Matsuyama has a big future but we (and many others) are certain that PGA Tour wins are not too far away. Last season he arrived at the US Open unknown to many, finishing T10 before going on to show some incredibly consistent golf – his lowest finish was T25! Obviously he has never played here before, so it will be interesting to see how the young Japanese star handles the pressure of the enormous crowd, but you cannot look much further than majors and 2 top 10s and a top 20 prove his mental toughness. He is a long hitter – 5th in driving distance, a top scrambler and putter – 19th and 6th respectively, whilst his ability from the sand has always proven to be impressive – 9th. Although on the stats site it says he is over 100th in GIR, we have seen how incredible his irons are and all we can say is trust us that he can find greens with ease when he is in full flow. Matsuyama is the sort of golfer that makes the game look so easy and what a way it would be to announce yourself to the world by winning such a big tournament. We obviously went for the Aussie last week and he sadly couldn’t capitalize on some superb golf to grab the win, but when we took out our own private disappointment, you have to realise that T2 was a solid performance. He was the other golfer to finish T1 for GIR, 1st for proximity to the hole and 16th in driving distance. 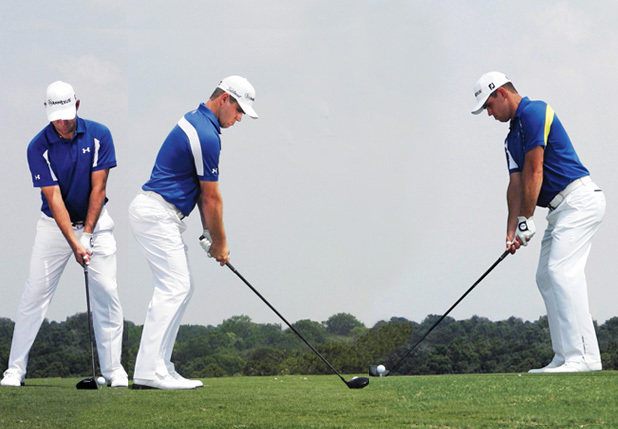 It proves what shape his irons were in and when you get that sort of rhythm, you tend to carry it on for a while. We do admit he doesn’t have the best history here, his best finish a T19 2 years ago, but we have been so impressed with him that when you think of his attributes, then it could be a dangerous combination. 45th in scrambling, 22nd strokes gained putting and 41st in sand save percentage. He really has all the tools to do something historic on this course. A picture of that infamous moment when The Hoff cut off that ridiculous barnet. Well we have gone with Charley Hoffman many times in the past and he has often let us down by putting like a 5-year old, but this time we have faith in the newer, trimmed version of The Hoff. Firstly, back in 2009 he finished 2nd after losing by a shot in a playoff to Kenny Perry and although his performances since then has not been the best, at least he has proven his ability on the course. He is also coming in the week in good form, having recorded 2 top 10s, including an impressive T7 last week, when he shot a faultless 67 on the Sunday. What was interesting was his putting looked better than usual, he still hits the ball far and finds greens for fun – 21st in driving distance, 45th GIR and 24th in scrambling. The Hoff seems to be decent value considering his class tee to green and nothing will faze him in front of the crowd. 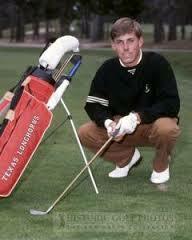 41-year old Justin Leonard has been there and done it all. A former major champion and 12-time winner on the PGA Tour, in our opinion Leonard still has the game for more wins. He is in good knick at the moment, finishing T28 last week (although he perhaps should have been higher) and T3 the week before. He has an inconsistent record here, with a couple of top 10s and a few missed cuts, but he will have knowledge of all the nooks and crannies that the course will throw at him and when you think of his attributes, barring distance off the tee, he could challenge the leaders come the weekend. 19th driving accuracy, 20th strokes gained putting, 20th sand save percentage and 3rd in scrambling all prove how the old-timer could get the youthful crowd buzzing! The European Tour moves onto the final leg of the ‘Desert Swing’ which also marks the 25th anniversary of the Dubai Desert Classic. Last week for us was another painful one as Rafa Cabrera-Bello and Thomas Aiken just came up short, but when Garcia plays the way he did, hardly anyone can stop him. Tiger Woods is back here for only his 2nd appearance since his win in 2008. After the way he played on one of his favourite courses last week, it will take a brave man to back the American at the short odds you will inevitably find him at. And of course we have to mention Stenson and McIlroy, with the latter looking very promising two weeks ago, just being undone by a 2-stroke penalty. The tournament was also the scene of his first ever professional win back in 2009. We feel the Northern Irishman deserves his favourite position this week. Ernie Els also boasts stunning course form here. 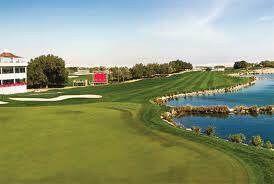 At the Emirates Golf Club, emphasis will largely be on putting this week, with GIR and distance off the tee crucial too. It will be playing 7,316 yards, so short enough for the bigger hitters to take advantage. Last year’s winner Stephen Gallacher consistently ranked inside the top 5 for putts per round and top 10 for putts per GIR over the four days. And also ranked 4th for driving distance over the final two rounds. And we can’t forget the winner will need to shoot into the low 20’s, so birdies and eagles are a must. All par 5’s are eagle chances and the fairways should be relatively generous. But hazards are in play on quite a few of the holes, so you can’t just go for out-and-out bombers off the tee. Both Stan James and Paddy Power are paying 6 places this week, so bet wisely. 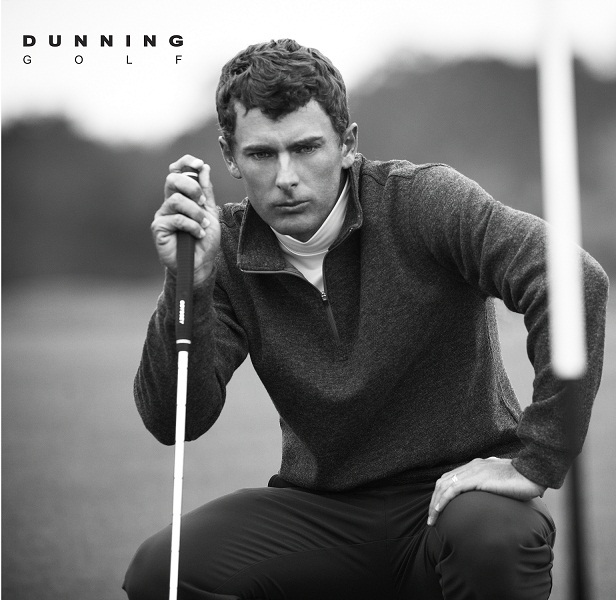 The Dane is undoubtedly one of our favourite golfers and one of the best young talents in the sport. After what started as a really promising year for Olesen, 2013 didn’t turn out quite as he had planned. He managed just one top 10 after his scintillating T6 at the Masters where he shot two consecutive rounds of 68 over the weekend. So the lad has talent. But it seems he is an early season player and particularly enjoys the ‘Desert Swing’. Last year he registered a T2 in Abu Dhabi and then a T3 here at the Emirates Golf Club. He is a player who thrives off form and last week in Qatar he really came to our attention. He eventually finished T3 but was challenging all the way and but for a few putts that burned the edge, he could have easily took the title. He shot four rounds in the 60’s and was consistently up there in the GIR stats. And Qatar was a course he had never even finished top 20 on before last week. All he needs is the putter to get hot and he could walk away with it this week. Our second Scandinavian pick of the week and someone who we were very close to backing last week. We feel his game is fast getting back to that which has seen him win 6 titles on the European Tour and become a pivotal member in the Ryder Cup team. 2013 would have been a disappointment for the Swede as he didn’t manage one victory and in truth rarely looked like challenging. Although injury did hamper him for parts of the year but he is back to 100% now! So he will want 2014 to be a big one and he comes to a course this week where he fits the bill perfectly. His long distance off the tee and very consistent putting will hold him in good stead over the four days. He ranked consistently in the top 10 over the final 3 days in Qatar for putts per round and putts per GIR. His length was not as big as we come to expect but accuracy has come as a result. The generous fairways of the Emirates will mean he can loosen those shoulders up though. If the swing clicks into place and he keeps putting like he is, Hanson will be a big player this week. Such is the talent of the young American, we find it hard not to back him every week. But we really do believe he is going to be a serious contender at the Emirates. His 2013 was nothing short of sensational for a rookie and now needs to push on this year to really prove how good he is. His game should be perfect for this course, often leading the distance charts averaging over 300 yards off the tee and being not too shabby on the greens either. He was on average about 10th in putting stats in Qatar last week. That is a deadly combination. The par 5s in particular are where he will thrive this week. At these odds, he is a really good bet. It’s always a risk backing the winner from the previous year but Gallagher does seem to be peaking at just the right time. We were on the Scotsman last week and he produced a solid display finishing T28, just never breaking into the top of the leaderboard. His driving was averaging just less than 300 yards and he was looking steady on the greens. He is known to take a few holidays over here and says the course suits his eye. And his three-ball contains a certain Tiger Woods and Rory McIlroy, that’s going to be a lovely couple of days viewing. We’ve got a real feeling about the German this week. This course should be the perfect fit for him and he has had two top 5 finishes here in 2012 and 2004. Last year was a good one for Siem, as he won his third European title as well as breaking into the world top 50. He has always drove the ball around 300 yards throughout his career and last week in Qatar he was never outside the top 10 in putts per GIR. His accuracy at times let him down off the tee, but this course is considerably more forgiving and that can only mean one thing, birdie chances. He has yet to make his mark on 2014, but this could be the week. Finally last week’s runner up from Finland, Mikko Ilonen. Another of our admired players and we really can’t ignore him at such high odds. For someone to play so well last week and still get these odds is something we need to take advantage of. We know that Ilonen is definitely a form player and although he lost in a play-off, he will take a lot of confidence with the way he played. His game is as consistent as they come and look out for his deadly accurate iron-play through the week. And he has finished 6th on this track before. After surprise winner Pablo Larrazabal held off Phil Mickelson and Rory McIlroy last Sunday to win in Abu Dhabi, the European Tour moves to Qatar this week for the Commercial Bank Qatar Masters. Although McIlroy and Mickelson have not joined the field, Jason Dufner is appearing for the 2nd year in a row, now a Major champion alongside the usual suspects of Stenson and Garcia. The course itself is a 7,400-yard par 72 with a whole host of hazards protecting the greens. Whilst the fairways are relatively exposed, the management did tighten it up last year, which didn’t help the bombers who have such a good history in the tournament. Water comes into play on 6 holes, meaning accuracy from tee to green will be vital, but do not discount those longer hitters. If you are striking the ball far and relatively accurately, then shots into the greens will be made a hell of a lot easier. The wind is forecast to pick up on Saturday which will make the course play longer and that could jettison the lesser hitters. HOWEVER GIR, as it was last year, will separate the winner from the pack. There are some criminal odds (as always in recent weeks) so we have tried to find some value and whilst Martin Kaymer and Peter Hanson do look interesting, their prices were too low for us but the others are superb value. One thing we do love about Rafa is you will rarely find him grimacing. Always a smile on his face! 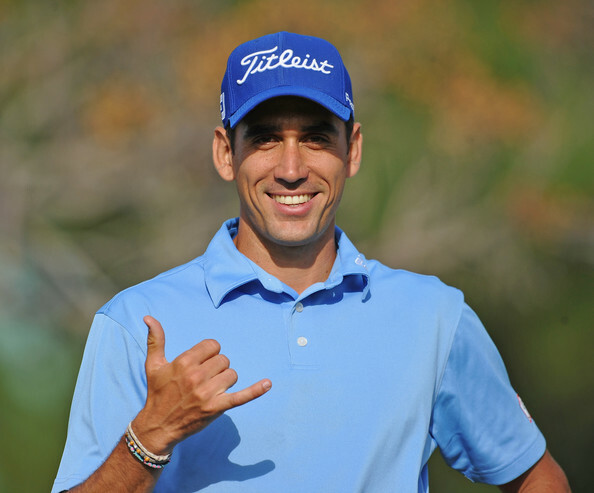 Rafa Cabrera-Bello is one of those golfers that thrives off confidence and tends to play well for a sustained period before going off the boil again. At the beginning of last year he had 6 top 23s in 7 starts before struggling to find the top 40 in 3 months. 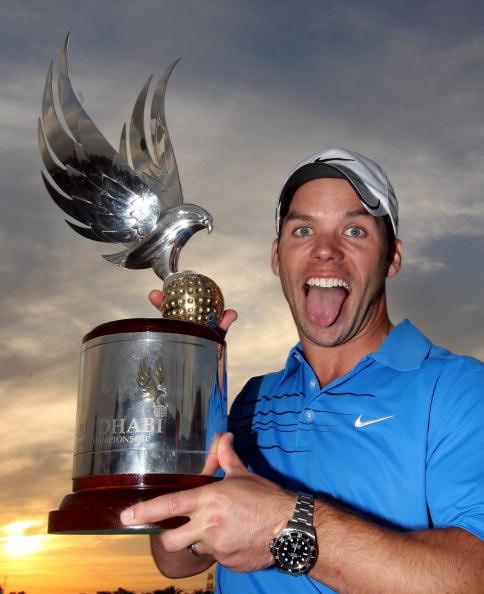 In 2012 he started the year making 12 cuts in a row, including 3 top 10s and a win at the Omega Dubai Desert Classic. He then couldn’t make the top 30 for 7 tournaments barring a T2 at the Irish Open. Basically, the Spaniard starts the year off brightly and will generally continue that form before a bad round or two seems to send him off the radar. So, right at this moment in time, it’s a new season and Rafa played supremely well to finish T4 last week, 2 shots off his compatriot Larrazabal. He was leading going into the weekend but shot a 70 on the Saturday, which in the long run lost him the title but his all round tee-to-green game looked as hot as it did in stages last year. He was hitting the ball far and showed his iron skills consistently (27th driving distance, 25th GIR), but it was his putting that looked particularly impressive – from round 2 onwards he never dropped outside the top 12 for putts per GIR. He has also played here and done well before, finishing T3 in 2011, even with a 77 on the first day. He followed that with two top 35s following, so his form is more than respectable on the course. If his driving is not hugely wayward and he is having to recover constantly then he really does look like fantastic value and someone that will go on enjoying the beginning of every season. Just like another of our players he is in a 3-ball with Ryder Cup captain Paul McGinley and as a superb matchplay golfer, he will want to show what he has in terms of mentality and skill set. This can only aid not hinder the Spaniard. We have a lot of faith in Thomas Aiken because of his extraordinary accuracy and tee to green abilities. He is a consistent player who does enjoy finding fairways (16th driving accuracy, 11th GIR) and his win at the Avantha Masters last season was on a course where bunkers dotted the fairways, making it difficult to play. The South African will rarely find trouble and avoiding the hazards here will be so crucial, plus when you think he has averaged over 290 yards every season on tour, he is no slouch in terms of length. In 2011 he finished T6 here even with a 73 on the final day, so he has good course knowledge and he has been playing well in recent outings. T19 last week and T8 the week before are positive returns and there is no reason he cannot improve on those finishes come Sunday. 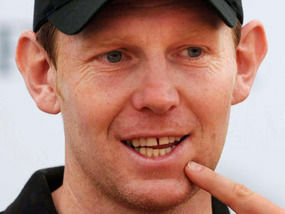 Stephen Gallacher is one of those solid all-round players who seems to always find himself at decent value. He has played here most years since his two top 10s in the early noughties, all be it struggling to find consistent finishes. However, last weekend his tee to green abilities were a joy to watch and it instantly made us jump up and think of him for this week. He was inside the top 10 for both driving distance and GIR on Saturday and Sunday (finishing T8 for the tournament) and considering his accuracy off the tee was wayward at times, it was testament to what a great iron player he really is. The lighter rough is not as punishing here and this could all add up to being in the Scots favour. He won during this ‘Desert Swing’ last year at the Omega Desert Classic, so he has enjoyed this part of the tour in the past and there is no reason why he cannot make it win number 3. Plus, as we said with Rafa, he is playing with McGinley, so he will want to show him everything he has! If you are a stats lover and all you think about is what the number say, then look no further than Hennie Otto. The South African is currently 33rd for driving distance, 17th for driving accuracy, 23rd for GIR and 12th for putts per GIR. That is beyond eye-watering and obviously this is because his form has been exemplary in recent weeks. T19 in Abu Dhabi, T24 at the Alfred Dunhill and T2 at the South African Open are superb returns and prove what has been a fine start to the season. There is no reason he cannot carry that on here either, because if your all round game is that good, then tee to green will be of no problem and at 125s, why wouldn’t you take a gamble? Admittedly his best finish is T12 in 2009, but for us that doesn’t matter when you are hitting the ball that well. Raw English passion. Come on Sully! The classic English stalwart that is Andy Sullivan. We enjoyed watching him at times last year, before he completely went off the boil and decided that making cuts was not part of his plans. He recorded 4 top 12s in his first 7 starts last season and one of those was a T9 at this very tournament. So, coming a respectable T19 last week will give him plenty of confidence as he starts the desert swing and with his attributes, he could be a very interesting outsider. 46th in driving distance, 30th in driving accuracy and 36th for GIR in 2012 are all the stats you need when thinking about this course. If he gets in (excuse the pun) full swing then anything is possible for Sullivan. After two successive solo 2nd places for us in the shape of Chris Kirk and Ryan Palmer, the time must be now for us to finally get a winner in 2014. Nobody can argue with Patrick Reed winning last week at the Humana Challenge with three opening rounds of 63! And he showed great nerve on the final few holes not to lose his bottle. Onto this week and we’re afraid to say this is Tiger Country. 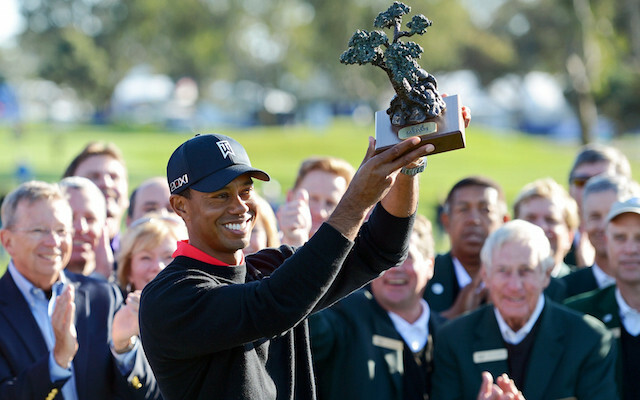 Woods has won on Torrey Pines no less than 8 times and even second favourite Phil Mickelson has won 3 times in his hometown. But we have to look at this positively and see that Woods being their increases the odds of everyone else, meaning there is a lot of value to be had further down the field. The tournament is slightly different as all of the field have to play one of their first two rounds on the North Course, before playing the other three on the South course of Torrey Pines. The par 72 North course is shorter, at 6,874 yards, and relatively easy with four par 5’s. The fairways are narrow but greens are huge and birdies are a must on the one day players have on this track. The South course is a much tougher test at just over 7,600 yards and long, straight driving will be crucial over the course of the week. A lot more hazards will be found on the South course as well, meaning accuracy to the greens is crucial. The course is located next to the Pacific Ocean meaning the winds could get up and make scoring a lot more difficult. 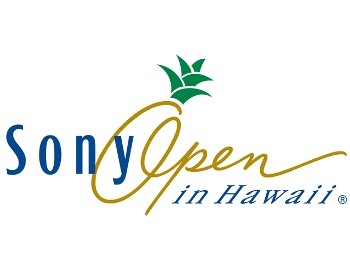 It also hosted the 2008 US Open which shows the difficulty of the track. Tiger obviously won that. We’ve got a couple of guys below Leishman at lower odds but such is our passion for him this week, we’ve decided to give him our number one slot. He has been slowly but surely asserting himself was one of the top boys on the PGA Tour and comes into this week in fine form. His last outing saw him finish T5 at the Sony Open and but for a poor third day, would certainly have challenged, with his game looking very promising. Torrey Pines is a place where he has already finished runner-up in 2010 to Ben Crane by a shot and then 9th the year after. Statistically we’re looking at someone who currently ranks 1st in strokes gained-putting and averages 300 yards off the tee. The South course will prove to be a tricky test but after seeing the Australian finish T4 on Augusta last year, he has what it takes. And at great value too. 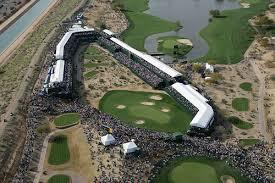 We are backing Day to have a massive year in 2014, and Torrey Pines will be a great place to start. The course if we are honest has the Australian written all over it (And Woods of course) with his long, straight hitting and GIR consistency. He has firmly asserted himself as one of the top players in the world but just needs to prove it by winning some silverware! He recorded a very solid 9th place last year after a relatively poor first three tries around Torrey Pines, which shows he’s getting to grips with the place. He finished off 2013 in great fashion recording T25, T13, T4 and T14 in the Fed-Ex Play Off events. And then went on to win the World Cup of Golf alongside Adam Scott. 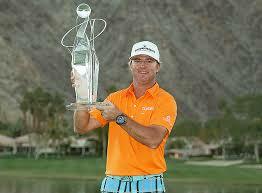 2013 also proved to be fruitful in the majors as he achieved the tied lowest cumulative score over all four majors. Pretty impressive. 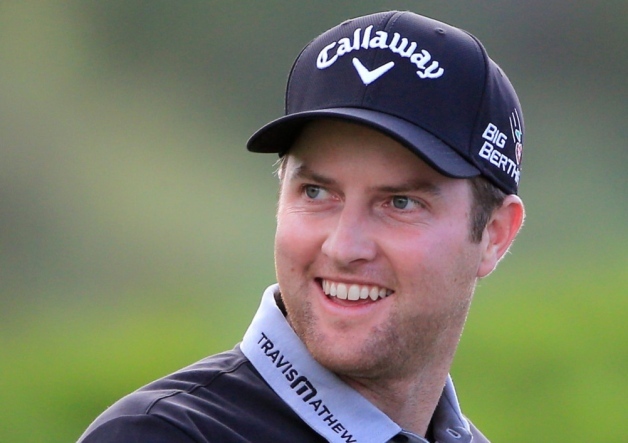 But Jason will know 2014 needs to be a big one and Torrey Pines is somewhere he can thrive. We really enjoyed Mahan in 2013, his iron play was back to its ultimate best and he played consistent throughout the year. As we have said, the South course is a very tricky layout and someone who enjoys picking courses apart like Mahan will thrive. Not to mention his consistency off the tee. 25th in both driving accuracy and GIR for 2013 is not bad. Ironically Mahan’s end was eerily similar to Day’s as his Fed-Ex play-off finishes were: T25, T13, T4 and T20. And you have to throw in the Presidents Cup victory for the American too. 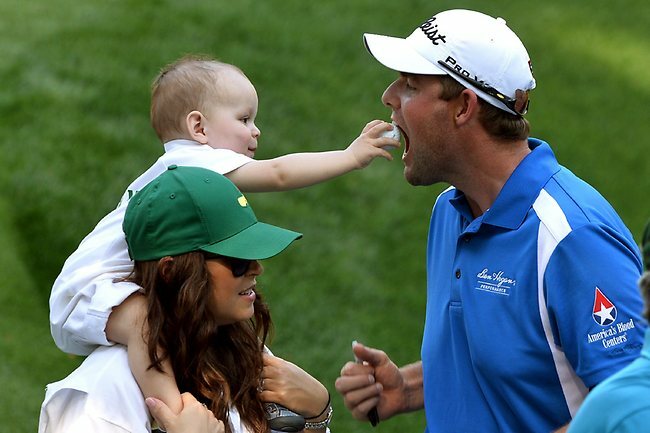 And we can’t forget the birth of his child during the Canadian Open where after two rounds he was comfortably leading but withdrew to be at the side of his wife. He has also recorded two top 10’s in his last three appearances at Torrey Pines. Could certainly feature this week. It seems like Ishikawa is somewhat of a forgotten person at the moment. At only 22 years of age the man for Japan still has the golfing world at his feet. After a really solid start to his career which included 10 victories on the Japan Golf Tour, Ishikawa found the going tough on the PGA Tour, recording only 1 top 10 in 2013 and missing 10 cuts. 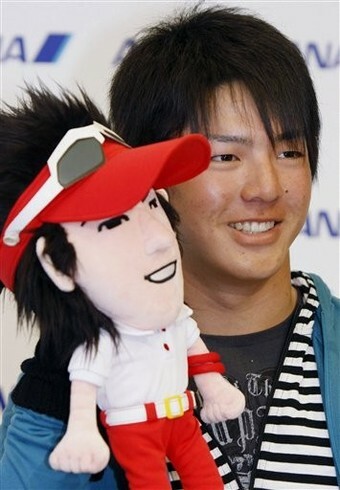 But after a move to Vegas, Ishikawa has said he is adapting to life well in America and this is showing through his golf. He has finished T2 at the Shriners Hospital Open, T5 at the World Cup of Golf and then T25 last week. Ryo missed the cut at last year’s Humana Challenge, so things are definitely on the up. 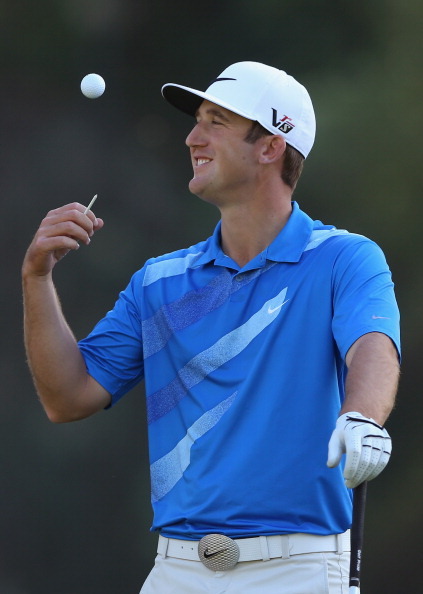 He recorded a 13th place at Torrey Pines in 2012 which again shows he has what it takes. Statistically he ticks all the boxes as well. 9th driving distance, 4th GIR and 5th proximity to the hole. 2014 has the makings of a breakthrough year for him on the Tour and he can certainly challenge this week. The American is another young golfer that we really like the look of. The 23 year old certainly came to our attention when we backed him in his first ever European Tour event at the BMW Masters last year. After leading for the first three days he was eventually overhauled by Fernandez-Castano, but for him to come over to Europe in a completely different environment shows this lad has confidence and the talent to back it up. His game could suit this course nicely, being relatively long and accurate off the tee. He finished T21 here last year on his first ever try at Torrey Pines and comes here after finishing T18 last week shooting four solid rounds in the 60s. He has already got a top 5 to his name this season at the Shriners Hospital Open. So at three-figure odds, he could be a very good bet. It would be rude not to lump a few pennies on Kyle Stanley at those sorts of odds. 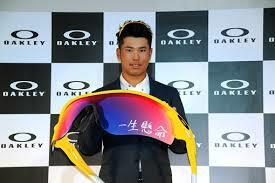 He is someone who again impressed us in 2013, recorded two 3rd places in the process. And he can hit a ball too, averaging 306 yards off the tee and ranking 6th in distance for 2014. He enjoys tough tracks with one of those 3rd places being at the Memorial Tournament and on his day has the game for Torrey Pines. His 2nd place in 2012 certainly proves this! This is a bet that really does interest us this week. 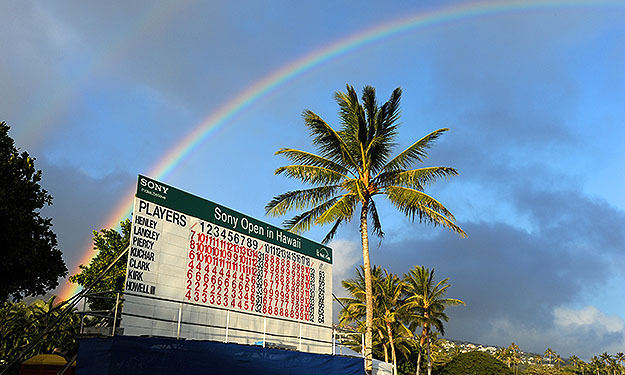 The 2nd PGA tournament of 2014 takes place in California this week where the weather looks like continuing on from some wonderful sunshine in Hawaii. 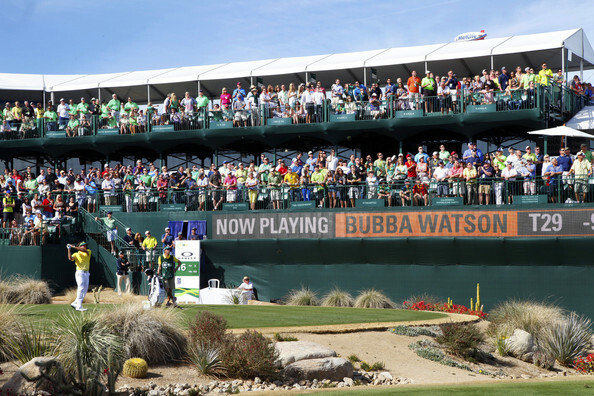 Formerly known as the Bob Hope Classic, the Humana Challenge is played over 3 courses – The PGA West (Palmer’s course), La Qunita Country Club and PGA West (Nicklaus’ course). Only La Quinta is over 7,000 yards and barely at that, so it gives the chance for every sorts of player to flex their arms. There are plenty of par 5s however, so the advantage will come for bigger hitters in a way, because scoring low is going to be absolutely everything to do well. 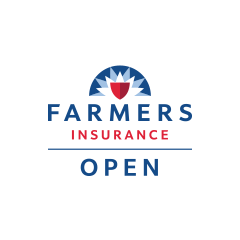 You can expect the winner to be well over –20 come Sunday and with expansive fairways and relatively large greens on all 3 courses, it is one of the easier tournaments of the year. You are going to need to look at someone who loves to attack; one of those players who can frustrate you when you want him to just consolidate, rather than attack the pin, one of those players who goes on a birdie streak like a madman. There are plenty of those sorts of golfers in this weeks field, it is just a matter of working out who could be the best option. This may seem like an obvious pick, but lets be honest, it is. 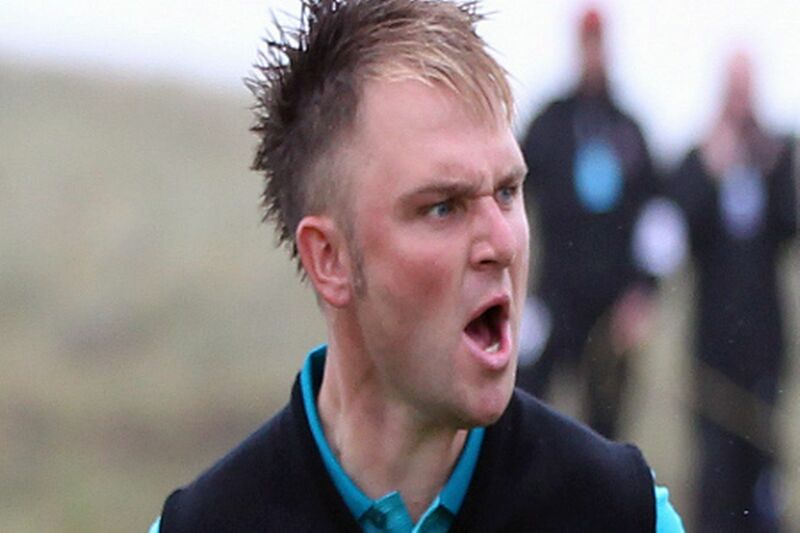 When you think of this ‘madman’ who can go on ridiculous streaks, you think of Keegan Bradley. He is a fiery performer who thrives on his own confidence and once he gets going, he is incredibly difficult to stop – 6th in scoring average and 6th going for the green last season. We have had some tough times with Keegan in the past, coming so close to decent payouts before he lets us down with a stupid decision, but this is a new year and we have every faith that the charismatic American has all the tools to potentially destroy these courses. He is a long hitter, averaging over 300 yards last year and loves every par 5 he plays – 2nd for par 5 birdie or better in 2013. There can be questions over the short stick at times, but again it all seems to be about confidence, when he holes one or two, he is irresistible with every club in the bag. He has only played at this tournament once, back in 2011, when he finished T7, which shows he had some sort of liking for the layout of 3 different courses. In all honesty, we snapped at 20s because it is a fair price on a player of his quality and we do believe this is finally the time for Keegan to walk downthe18th victorious. Another player who loves getting on a roll is Ryan Palmer. His ability to score low will stand him in great stead this week – 25th for scoring average in 2013 and 35th in 2014. He has been inside the top 26 for driving distance every year since 2009, but what often lets him down is his erratic accuracy off the tee. However, with wide enough fairways, Palmer will be able to unleash his power and that is always a dangerous proposition. He is never afraid of attacking pins and making bold shot selections – 25th proximity to the hole and 10th going for the green in 2013. In a way he is like Bradley, in that his confidence has to be bubbling if he is to perform with the putter, but his form last week should give him that extra edge he needs. He played very well on the opening day, carding a 65, before a 70 on the Friday cost him dearly. The 67 and 68 that followed were impressive displays and if he had reduced his score on the 2nd day it could have been a different story rather than his eventual T8 finish. He will also be coming into a tournament he has enjoyed in the past. 3 top 10s, including a T4 in 2011 proves he has the ability here; it is just whether he decides to turn it on or not. We have the faith. At the back end of last year Gary Woodland impressed us hugely with some quite marvellous displays. He won the Reno Tahoe open, assaulting the course with unerring quality, before showing the world his attacking ability at the Barclays where he finished T2 after a disappointing final day. Decisions to continuously attack were both lauded and disparaged, but he certainly caught our eye. Therefore, when we looked at this tournament, instantly we thought of Woodland and how exciting it would be to see him in full flow this week. 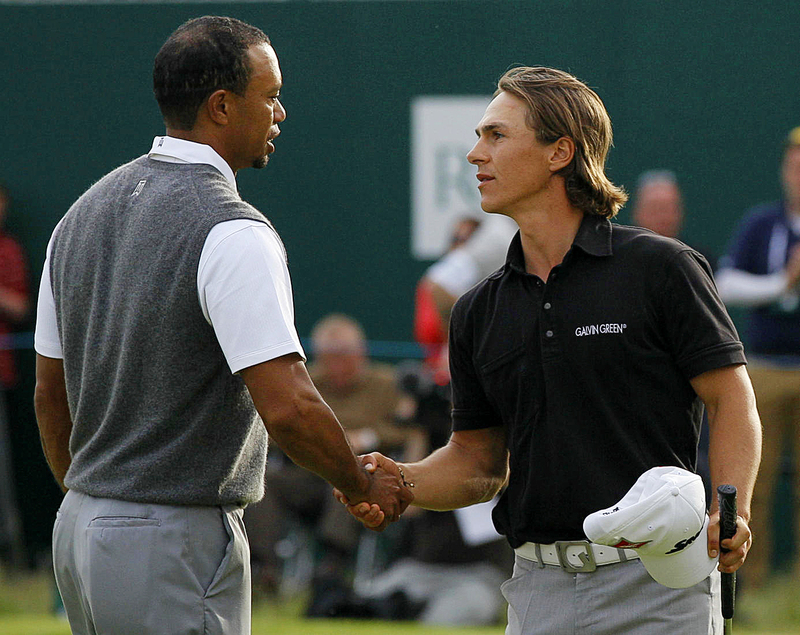 We then remembered he finished 2nd in 2011, losing in a playoff to Jhonattan Vegas, scoring a remarkable –27. (All be it over 5 days!) His form coming into this season didn’t stop either and a T13 two weeks ago and another playoff defeat to Ryan Moore at the CIMB Classic a few weeks ago, prove how fluidly he is hitting the ball at the moment. He is gigantic off the tee – 4th in distance last year, whilst his knack for attacking greens is evident every time he plays as well as nouse with the putter – 36th GIR, 24th going for the geen and 56th total putting last season. This could be an interesting one for sure. What an incredibly disappointing year Nicolas Colsaerts had in 2013. It was so disheartening to see such a talent struggle throughout the year as he made the switch from Europe to the U.S and we were not alone in thinking it was going to be a big year for the Belgian. So, now 2014 is a new chapter and a fresh challenge for Colsaerts, who will hopefully look back at 2013 as a starter year and relish the courses that should suit him down to the ground Stateside. He is a bomber off the – 3rd in distance last year and can go on incredible streaks when his game is on song. He showed the world at the Ryder Cup how remarkable his temperament and scoring ability can be and this week we just felt a big statement could be made. He will be able to completely loosen his arms and attack everything and anything the courses throw at him and being inside the top 60 in going for the green and proximity to the hole proves his capabilities. If his putter decides to follow suit with his woods and irons, then he could be a surprise package come Sunday. Chappell does have a tenancy to juggle his balls. Golf balls. Kevin Chappell will be making his first appearance for quite a while this week and we certainly feel he could give a good account of himself, because the bookies often forget about someone with his sort of quality. He is another fiery individual who is a solid tee to green player and someone who doesn’t mind attacking greens – 6th proximity to the hole this year and 35th last year. He finished T8 at this tournament in 2013 and has the ability to perform well on all 3 courses without the casting shadows of horrendous tree-lined fairways. There were too many missed cuts for Chappell last year and when you think of his performance the memorial, you realise this is a real talent. We do admit this is a big hit, or a complete miss! 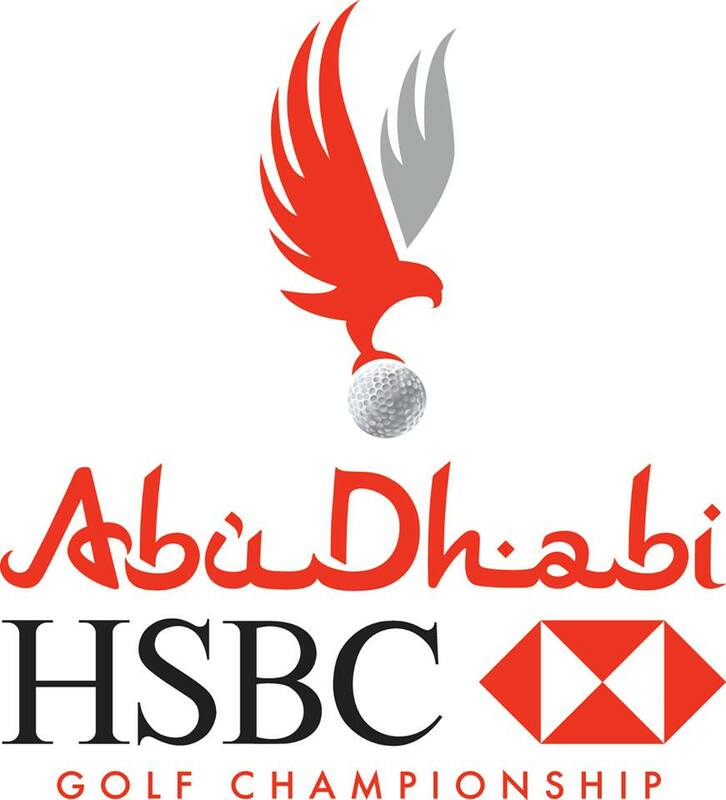 After Louis Oosthuizen retained his Volvo Golf Champions title last week, the Tour moves to Abu Dhabi for the HSBC Golf Championship. The prize money here is not surprisingly one of the biggest on the tour, so you won’t be shocked to see the likes of Stenson, Mickelson and McIlroy all catching a flight over to the Middle East. This also marks the year anniversary of DownThe18th as this was our first ever previewed tournament last year. Very emotional scenes. But onto the tournament. Jamie Donaldson won very confidently last year and his accuracy off the tee was particularly impressive. The Abu Dhabi GC plays 7,600 yards which is very long. But we would not put this course into the bombers category with accuracy imperative on most of the holes. The fairways have also been narrowed down the years and we will perhaps not be seeing the -24 that Martin Kaymer shot here in 2011. -13 and -14 respectively have been the two most recent winning scores. Donaldson also came into this last year off the back of a T8 and final round 66 at the Volvo Golf Champions event, so it’s interesting to see who performed well last week. Overall, a combination of distance and accuracy off the tee would be very nice. Solid GIR statistics will be needed too. We will say Henrik Stenson is known to like this track and has two runner-up finishes to his name already. That is ominous considering the deadly form he is in at the moment. And Rory McIlroy plays only his 2nd tournament after his win at the Australian Open and has recorded four top 5’s on the Abu Dhabi GC. We are sure they could have a big part to play this week but we are confident there is value elsewhere at higher odds. Paddy Power are also paying 6 places this week. The German last year showed glimpses of the talent that bagged him a major title in 2010 and the World Number 1 slot the year after. He comes to a course this week where he dominated from ’08 to ’11 with three wins and a 2nd place. You cannot deny how impressive those stats are. And even last year, when not at his best, he still managed a 6th place. 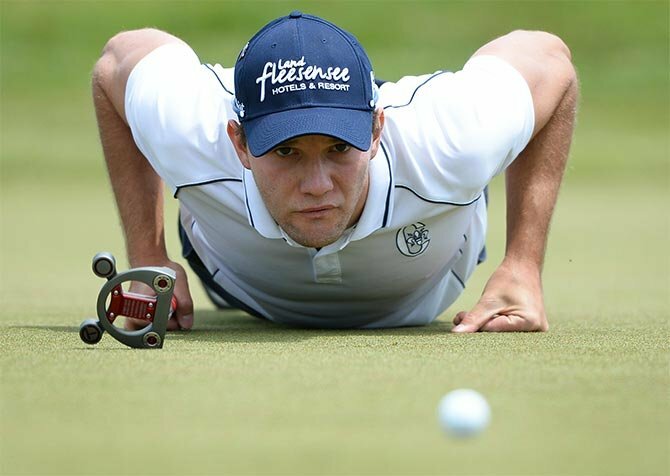 We have been keeping our eye on Kaymer for a while now and his solid play has convinced us he will make a return to winning ways in Abu Dhabi. His consistent driving will be vital over the four days and the only problem will be whether he can hole enough putts. 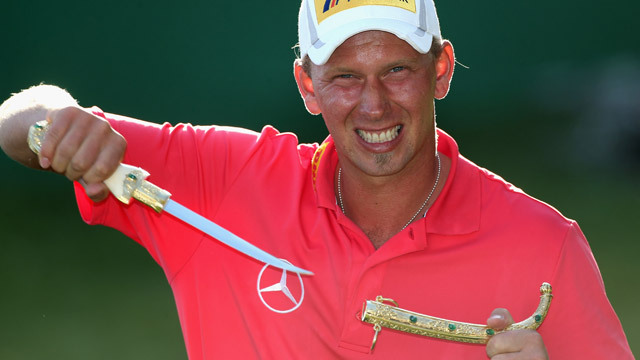 The South African is getting back to the same sort of form that saw him win four titles on the European Tour in 2012. He certainly isn’t short off the tee and his accuracy is undeniable. He impressed us a lot last week with his 2nd place finish in the Champions event, narrowly being edged out by another resurgent South African. Grace is a form player if ever there was one and his last two performances have now been a 6th and a 2nd. He also finished 5th here last year in only his second start on the course. He will feature heavily in 2014 he could definitely do the business this week. The Englishman is someone that if you followed us last year, we talked a lot about. On his day he is one of the best drivers in the game and last year saw him recapture the form that saw him once be number 3 in the world. And he comes to a track where he won both in 2007 and 2009. The kind of form he was in back then he finds himself in now, relatively anyway. 2013 saw him claim The Irish Open, his first win on Tour for over two and a half years and he has since built on that with some solid finishes. With the confidence of knowing he is back to somewhat near his best, he could be a big contender this week on a track he loves. The American is undoubtedly one of our favourite golfers on the tour. We have nothing but admiration for him, coming and plying his trade in Europe and various other parts of the world. And 2013 proved to be huge for him, winning his first European Tour title at the Madeira Islands Open, finishing 14th in the Race to Dubai list with eight top-10 finishes and also claiming The Rookie of the Year title. So 70/1 seems pretty generous all things considered. 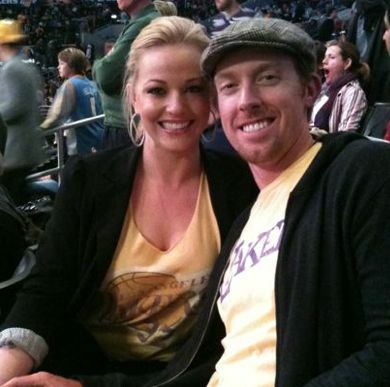 His game is based around some big hitting off the tee, and if he can start firing this week, he could contend for sure. Uihlein was indeed very hit and miss last week, but tight, technical courses are not his strongest point, for now anyway. If you’re looking for value for money, you won’t get much better than the 24-year-old. We will finish off this week’s picks with a couple of players at high odds but with outstanding potential. Madsen’s rise to prominence has been relatively quick and has certainly put himself in the one to watch category this year. 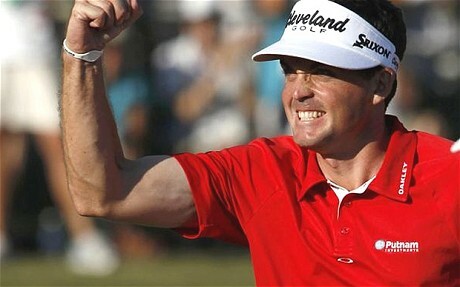 He won the South African Open a couple of months back and has since recorded three top 25’s including a 13th last week. 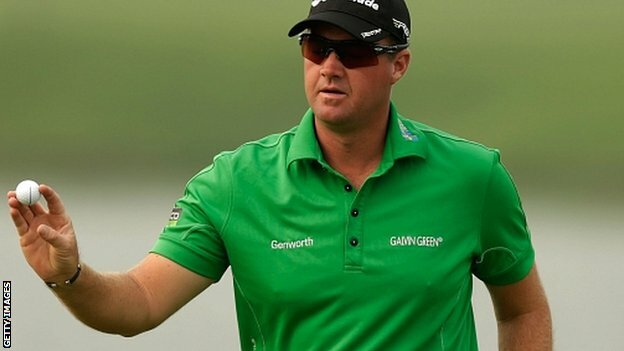 He will need a big 2014 to really assert himself as one of the top members on the tour but he is certainly capable. His consistent length off the tee will mean he has the game to do well this week. Combine this with his form and he could be a big contender and very healthy odds. The German Kieffer is someone we earmarked to have a big 2013 and it didn’t really come to fruition. But for his play-off loss at the Open De Espana, he will have been disappointed with his year. So 2014 will need to be a much improved one. But his game is based on his long length off the tee and accurate iron-play, perfect for Abu Dhabi. At 160/1 you won’t need to put much on him, but he could certainly figure this week if he plays the golf we know he is capable of. After all, he is still only 23. Over the last few days we saw the first event of 2014, the Hyundai Tournament of Champions. 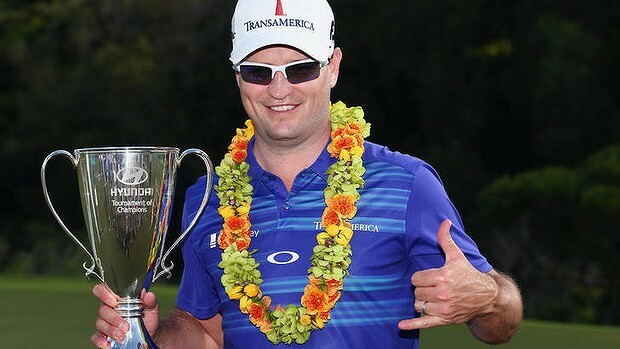 With Dustin Johnson winning in 2013 and the course being perfect for the ‘bombers’, it was only fitting king of the pitching wedge, Zach Johnson, took the title. The American is playing some stunning golf at the moment. This course is one of those where the yardage tells you everything. Being a 7,050 yard Par 70 it is all about finding the tight fairways off the tee and having the right 2nd shot into the tough little Bermuda greens. This is a place that once someone has done well here, they tend to come back and repeat that performance. Charles Howell III, Tim Clark, Matt Kuchar, Zach Johnson and Jerry Kelly are just a few who have two or more top 10’s here. Statistics to be looking at will be putting for sure, Russell Henley was electric on the greens last year. And then driving accuracy and GIR are always musts for courses like this. With it being close to the sea, we could see the wind picking up as well! With our fancied players having lower odds than what we usually do, we have decided just to leave it at 3 picks this week! Now the problem with Zach is that he almost ticks too many boxes for us! He won the Tournament of Champions last week which was his 2nd win in 2 starts! He held off Adam Scott here in 2009 to win and if ever a course was suited to a particular golfer, this one does for Zach. He is a magician with the higher clubs and has made a living out of short, accurate driving off the tee. Perfect for this track. We agree if Zach were to win this week it would have to put him in the category of the Adam Scott’s and Tiger Woods’ out there, but we can’t deny it, he’s playing that good right now. He already has one native Lei around his neck, why not make it two? You are backing Charles Howell at 20/1 we hear you say? Yes that’s right, you have read this right. If you didn’t know Charles is one of our favourite golfers and on his day has the ability to do anything with the golf ball. He comes into this tournament with comfortably the best course form in the field with 7 top 5’s in his last 11 starts on this track. That is some going. It does mean however that he has not actually won this thing, but something tells us, this year could finally be the one. The American started the PGA Tour season a couple of months very competently. He made all four cuts and finished T5 and T7 at the Shriners Hospital and CIMB Classic respectively. Over those tournaments he ranked 10th in GIR, 1st total birdies, 1st scrambling, 6th ball striking and 1st GIR% 75-100 yards. So his current form is good and when you combine that with his intimate knowledge of this course, we are looking forward to seeing what he does this week. We would advise an outright stake on both Howell and Johnson if you are betting smaller amounts. Kirky firmly put himself in the ‘one of those’ category last year. We backed him many times over the course of 2013 and would often miss the cut when we did so. And would usually finish in the top 10 the week after. So we are willing to forgive and forget in 2014 and hope the new year brings new luck for us and the American. He caught our eye last week in Hawaii, particularly in round one, being very accurate with his irons as we know he can. He ended up sinking back into the field, but this will keep him refreshed for the Sony Open. The tournament before, The McGladrey Classic, he did of course win but rest assured he is good enough to do it once more here in Hawaii. His T5 last year combined with his recent win makes Kirk a big contender this week.